Five guys walked into a bar, grabbed a mic and said "we can do it better". Collaborative thoughts and takes on all things Philly sports from Shane, LJ, Rob, Steve and Kevin. 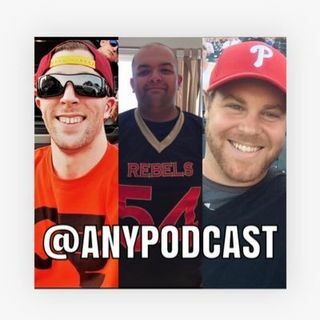 The Always Next Year Podcast is the collaborative takes of Shane, LJ, Rob, Steve and Kevin on all things Philly Sports. Listen to various segments from the team with weekly shows uploaded every Thursday Night by 9 PM!